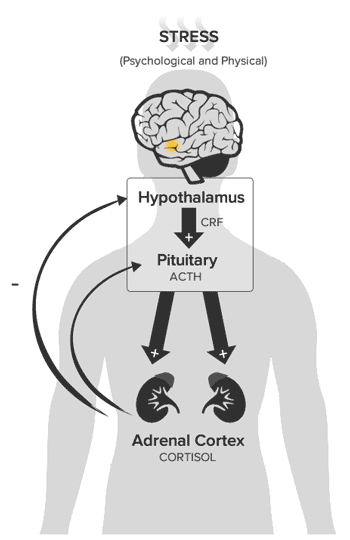 The hypothalamic, pituitary, adrenal (HPA) axis is our central stress response system. The HPA axis is an eloquent and every-dynamic intertwining of the central nervous system and endocrine system. 1Veldhuis JD, et al. Endocrinol Metab Clin North Am. 2013 Jun;42(2):201-25.